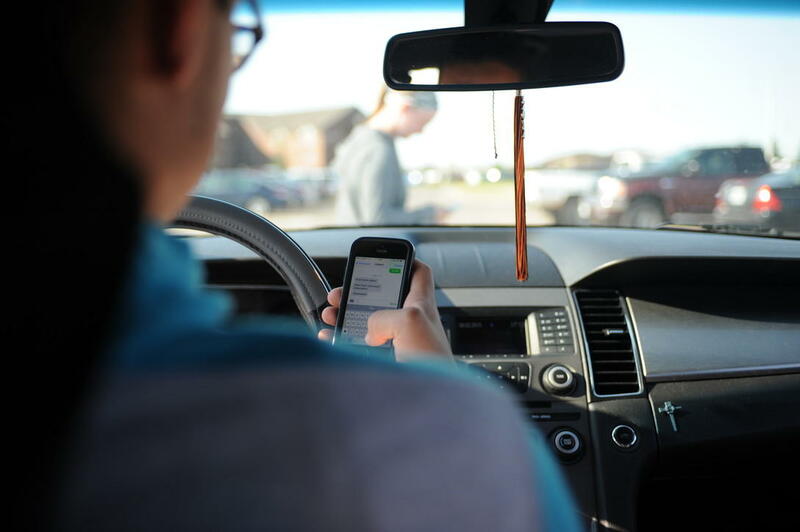 In Utah, new proposed legislation would provide stricter regulations on what devices could and could not be used while driving. For early-bird constituents in Cache County, Saturday mornings have become an opportunity to meet with their local legislators. At this year’s inaugural meeting on February 2nd, the first question posed to the panel struck at something most of us have either seen or experienced, and that’s distracted driving. Use of handheld devices while driving causes thousands of fatal accidents every year in the U.S.
“How many of you up there are going to support legislation to require that handheld devices not be used when people are driving motor vehicles?” asked Frank Ascione, emeritus professor of developmental psychology at Utah State University. Snider supports the bill, however Republican Representative Val Potter who also serves on the House Law Enforcement and Criminal Justice Committee said he needs to see more details of the amendment before choosing a stance on the bill. Although some restrictions are already in place regarding the use of handheld devices while driving, House Bill 13, known as the Distracted Driver Amendment would expand the current language so that an individual may not hold or use a handheld device while operating a motor vehicle. If passed, the bill could mean one more measure of safety for Utahns on the go. Additional questions from the crowd touched upon medicaid expansion, education funding and natural resource and wildfire management in the state. Updates on House Bill 13 can be found here. Meetings with Local Legislators during the 2019 Legislative Session take place every Saturday morning at 7:00 am in the Cache County Administration Building in downtown Logan. Coverage of past meetings can be found on the Cache County Facebook Page here.